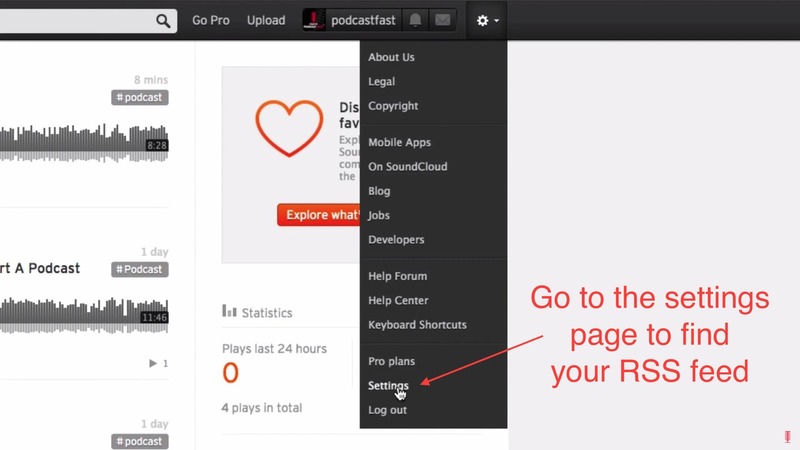 SoundCloud is the #1 place to host your podcast if you want more listens. 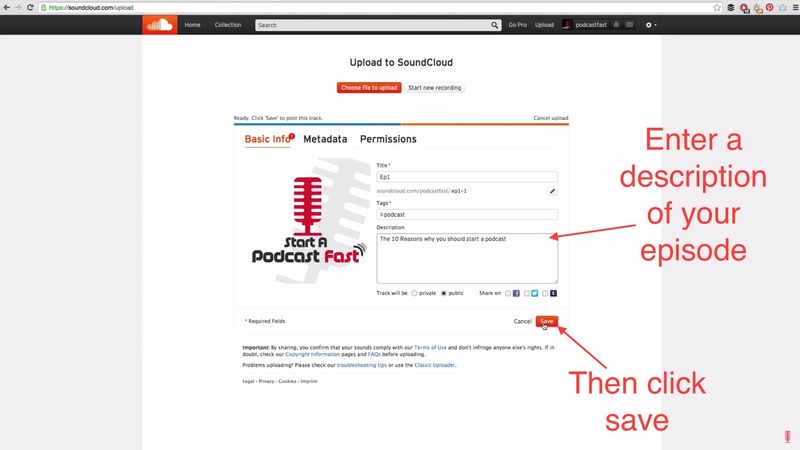 Here are the step-by-step instructions on how to set up your podcast with SoundCloud. SoundCloud is by far my #1 recommended media host for anyone who is doing podcasting. There is another service called Libsyn which I have used in the past and I just want to quickly show you why I recommend SoundCloud over Libsyn. The first thing is the price. SoundCloud smashes Libsyn in terms of the price. SoundCloud is $15 per month for unlimited storage and Libsyn is $75 per month for 1.5 gig of new storage every single month. So that is the top tier account. You can see the massive price disparity there. 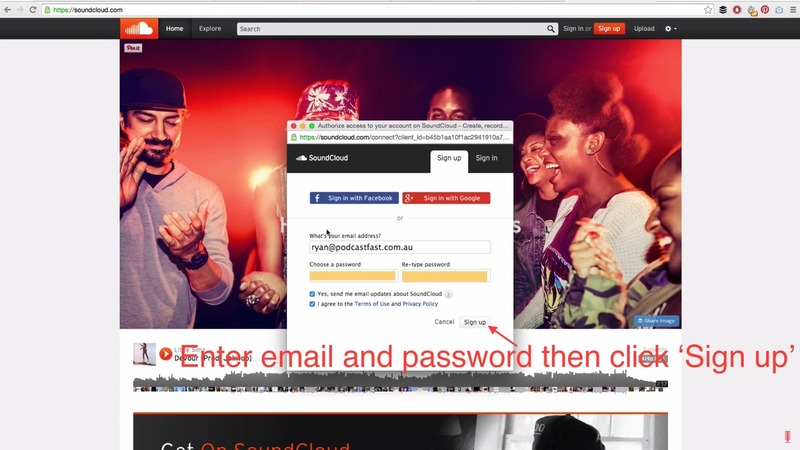 The second reason is that SoundCloud gives you access to an existing audience. SoundCloud has their own audience and you can get more views, more listeners and everything like that being on SoundCloud compared to Libsyn which basically has no audience at all. While the SoundCloud audience is small compared to the Apple Podcasting app rembmer that podcasting started on iTunes which up until that point was almost exclusively for music. So SoundCloud has the potential to grow huge audiences just like Apple did and just like YouTube has done. The other reason is that SoundCloud has an awesome player which you can use on your website and all the options for players that Libsyn have are actually pretty crappy. Lastly, Libsyn does win out in the area of statistics. They do have better statistics than SoundCloud. However, I would rather get access to an existing audience and be able to reach more people than have more visibility on that audience. SoundCloud still has pretty good statistics and they’re good enough for me. Why Not Just Host The Files On Your Own Website? The reason is media hosting is actually really expensive. If your podcast is going to be successful then there are going to be a lot of people downloading your files. As the files are pretty big this will quickly chew up your server and it’ll either be extremely expensive for you or it will slow down and eventually crash your server meaning no one can visit your website. Therefore by going with someone who is dedicated, so by going with either SoundCloud or going with Libsyn you’re going to save a lot of money. Now let me show you how to set up your podcast with SoundCloud. 2. In the top right hand corner click the sign up button. 4. 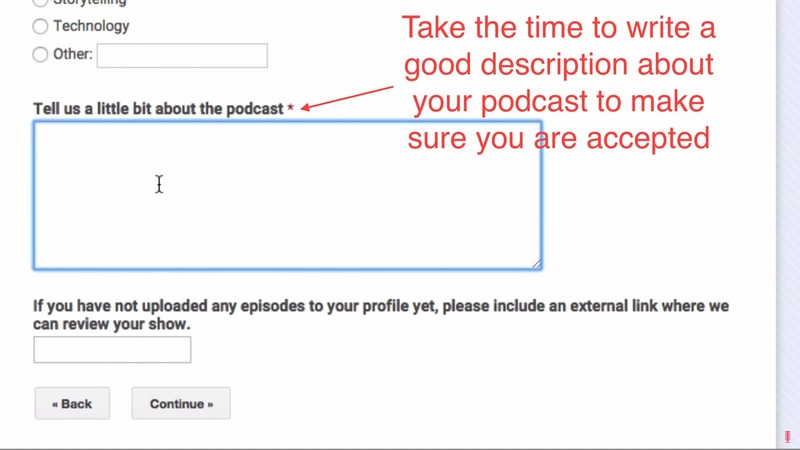 Then you need to choose a user name for your podcasts. I suggest that you choose your brand, like podcastfast for me or you choose the name of your podcast like “start a podcast”. 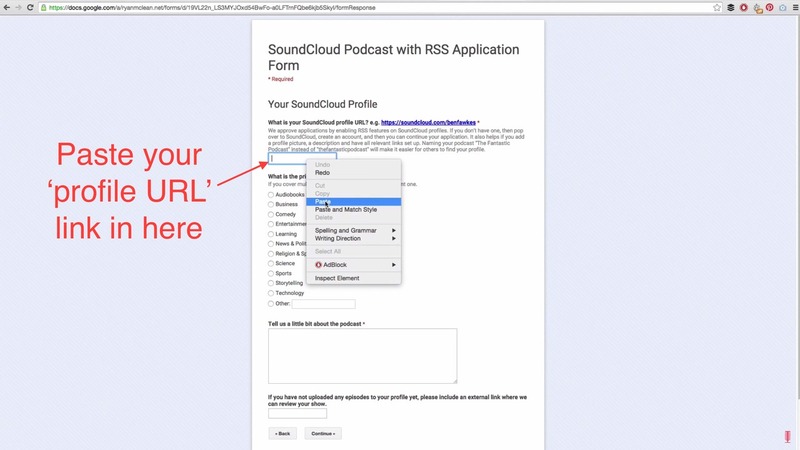 Enter your date of birth and then click get started with SoundCloud. 5. Confirm your email address. 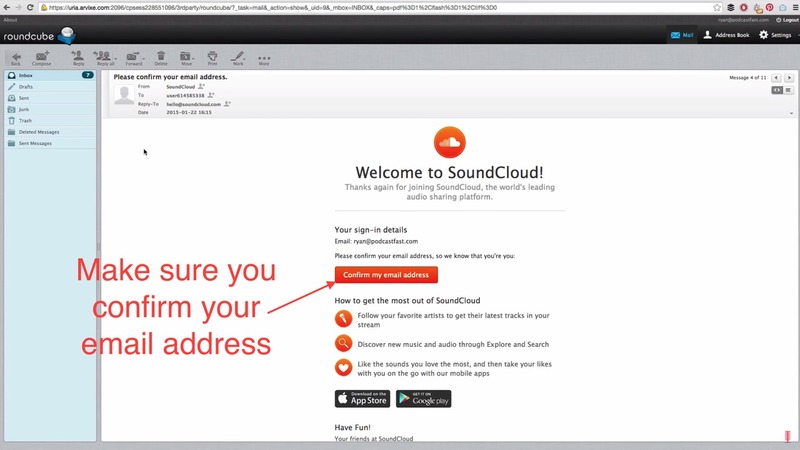 Before you can do anything else you need to go into your email and you need to find the email from SoundCloud that says “please confirm your email address”. Open that email and then click on the “confirms my email address” button. 6. Upload your first podcast episode. I will now explain why you needed to record your first podcast episode before getting your podcast set up. You will need this episode to move forward. 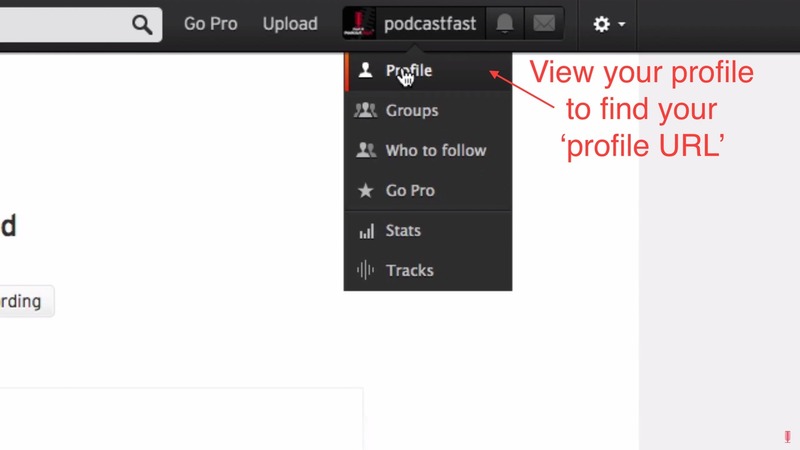 Before you can get a podcasting account with SoundCloud you first need to have an existing podcast. 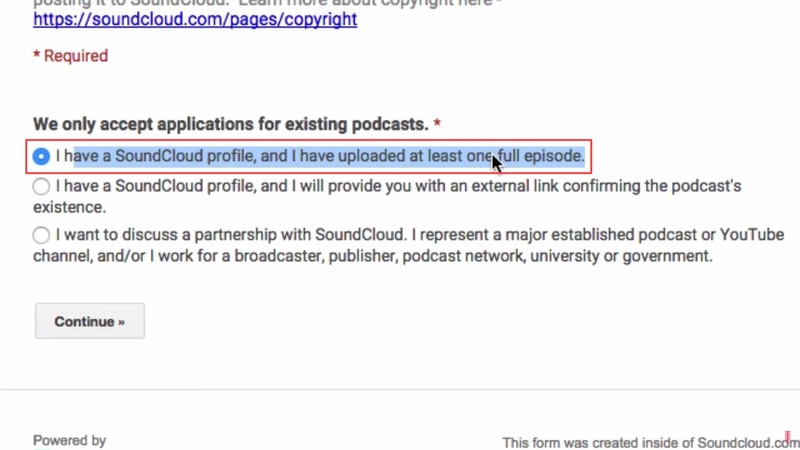 This means you need to have a SoundCloud profile and have uploaded at least one full podcast episode or you need to have an established podcast which is uploaded somewhere. 6A. 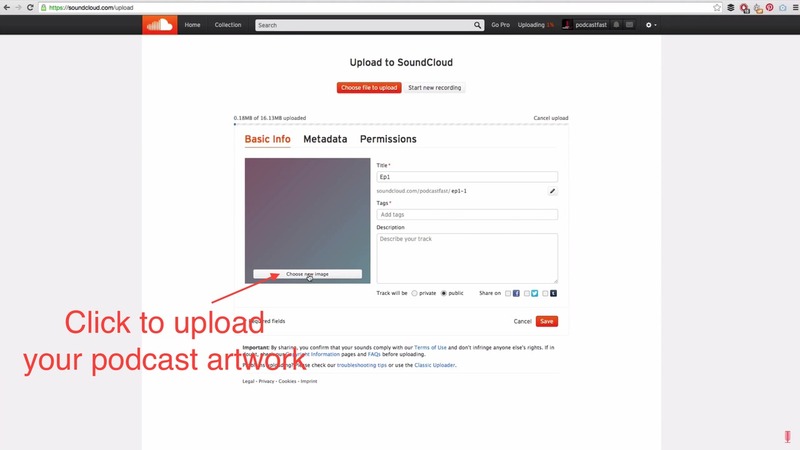 Once you have signed up you need to login to SoundCloud and at the top right you see the upload button – click it. You then need to choose a file to upload. 6B. Go ahead and find your first episode and then click open. Your file will now begin uploading. 6C. You can also choose an image at this stage. 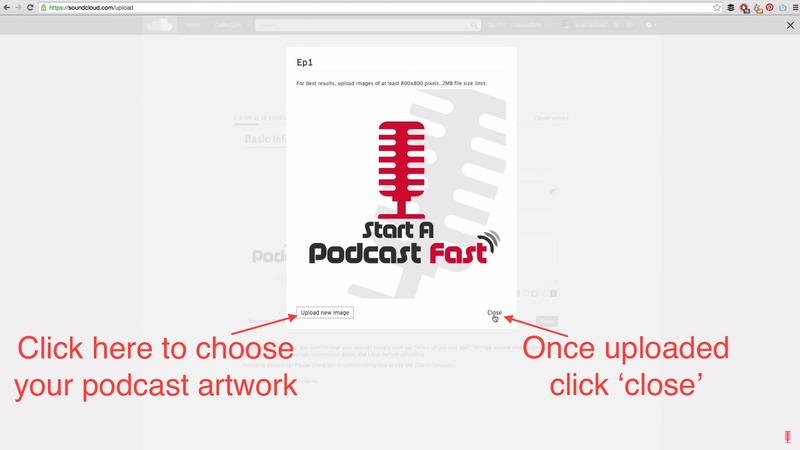 Upload your podcast image and then click close. 6D. Then add a description and click save. 7. 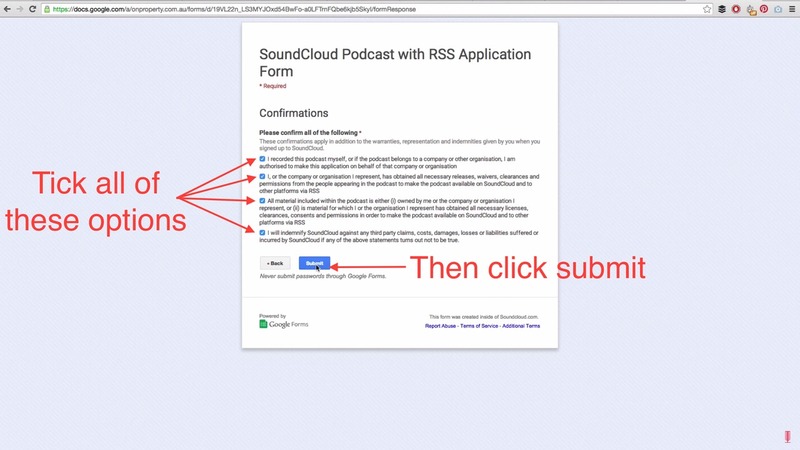 Apply for SoundCloud podcasting beta program. 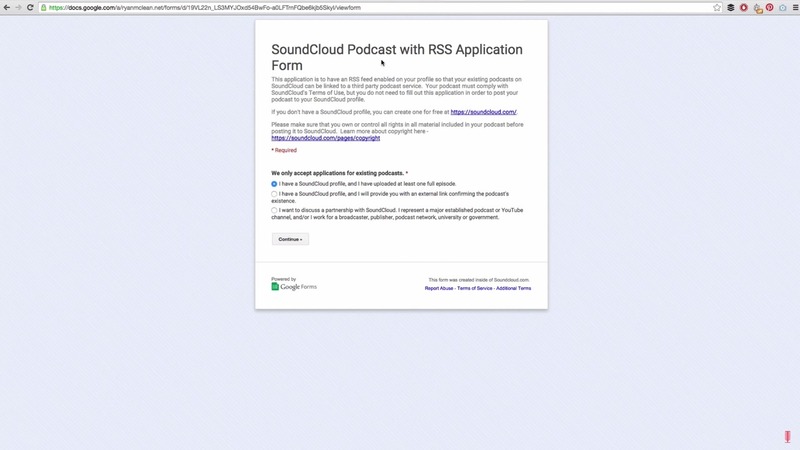 Now that our first episode is uploaded we need to apply for the SoundCloud podcasting beta program. This program is vital as it provides you with an rss feed which we will use to get the direct MP3 files. To apply for this simply go to PodcastFast.com/beta in order to be redirected to this application form. 7A. 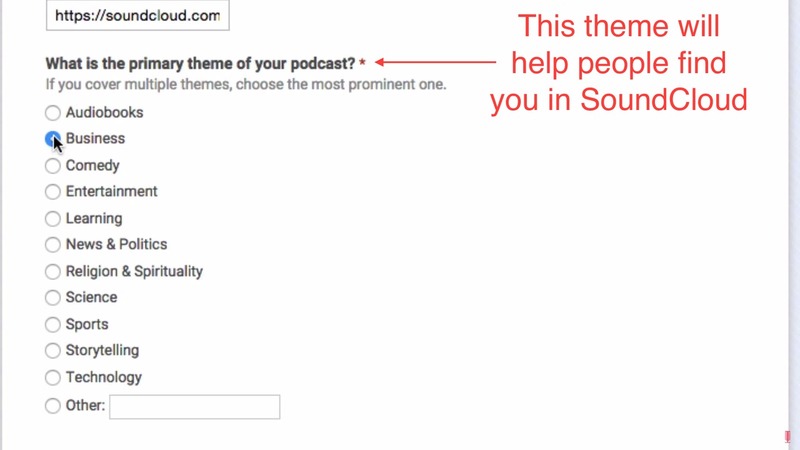 Go ahead and fill out this form and select the first option (I have a SoundCloud profile and I have uploaded at least one full episode) and then click continue. 7B. 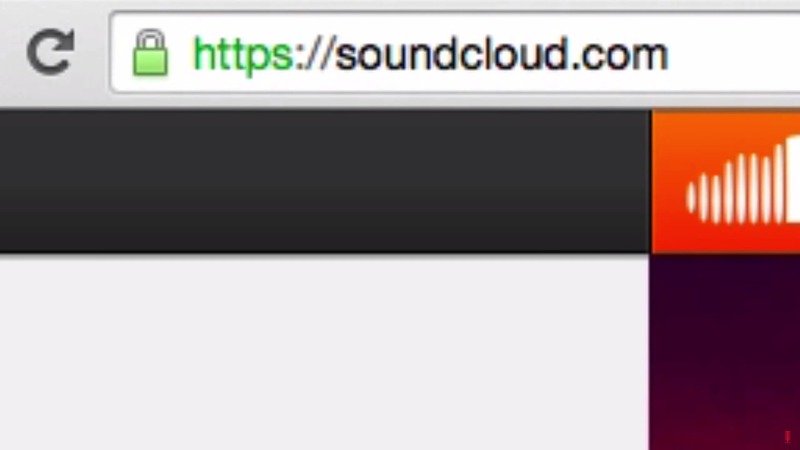 Put in you SoundCloud profile URL. and go back into this form and then paste in that URL. 7C. You then select the primary theme of your podcast, so for me it’s business. 7D. Then tell them a little bit about your podcast. I would spend some time making sure that this makes sense and is very convincing. 7E. Leave the last option because that’s if you have a podcast somewhere else. 7F. Then hit the continue button. 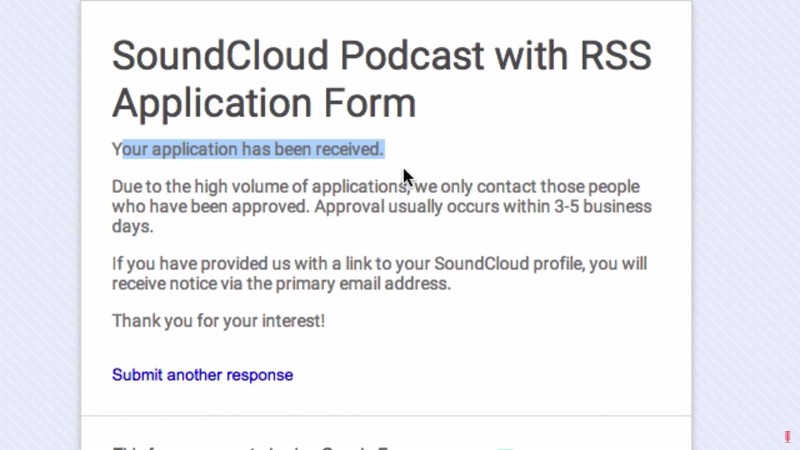 That will bring up this confirmation page so you just need to tick all of the checkboxes to say that basically you’re not breaking any laws and this covers SoundCloud in case you do use copyrighter material. After that you simply hit the submit button. We can now see that the application has been received and it may take a few days – three to five business days to be precise for your application to be approved. I have never heard of anyone who hasn’t been approved for this program so I wouldn’t stress out about it at all. If you are stressing out about it then I would recommend going back into your SoundCloud account and uploading a couple more episodes just to be safe. But for the record I didn’t do this and I got accepted. 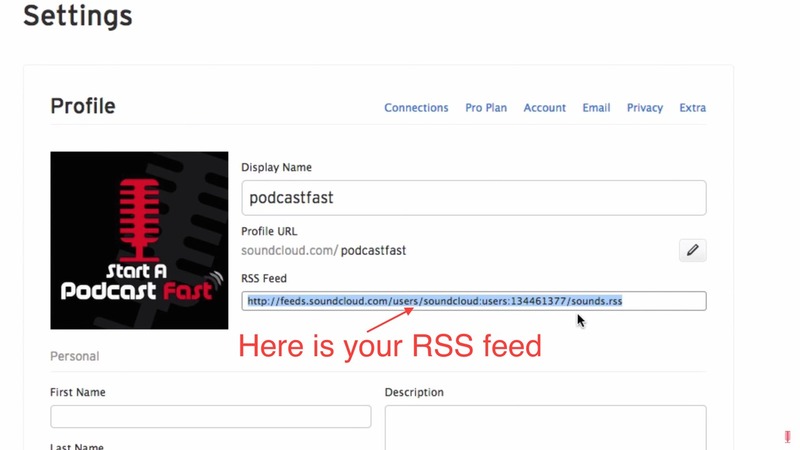 If you open that you’ll see that good news – your SoundCloud RSS feed has been enabled and it has some details of your feed there. 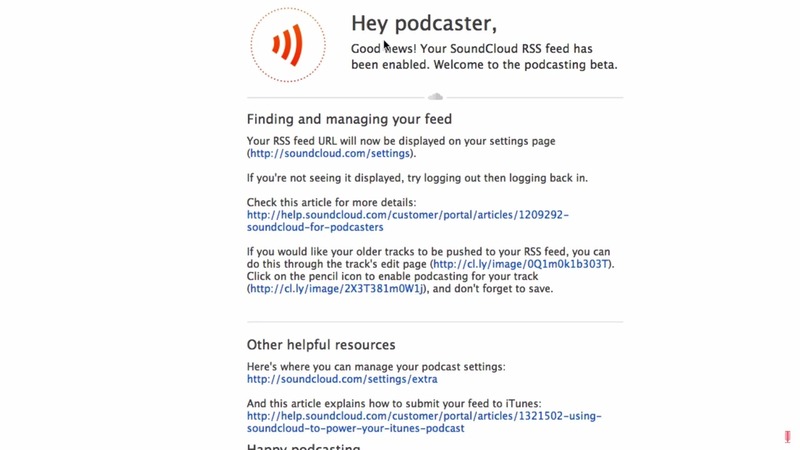 and you’ll now see an RSS feed in your account which means your podcast is now active. If you did want to avoid the hassle and the extra expense of getting your own website you can actually use this RSS feed and syndicate your podcast out to iTunes and Stitcher Radio without a website. 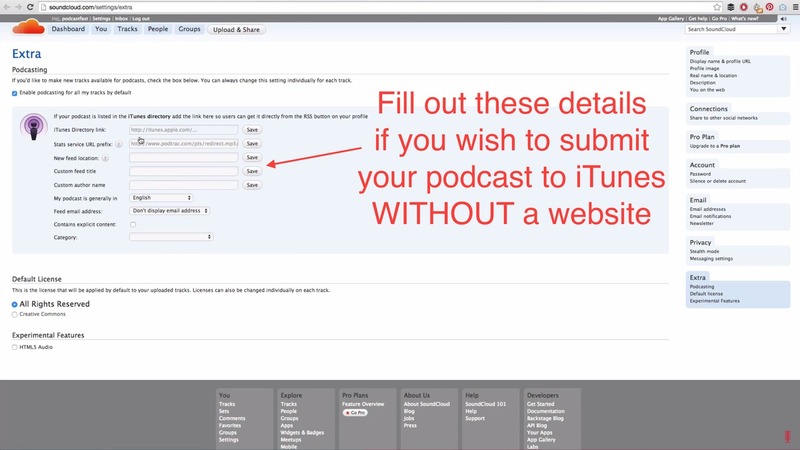 which will open up this page where you can put in some details which are important for submitting your podcast to iTunes. 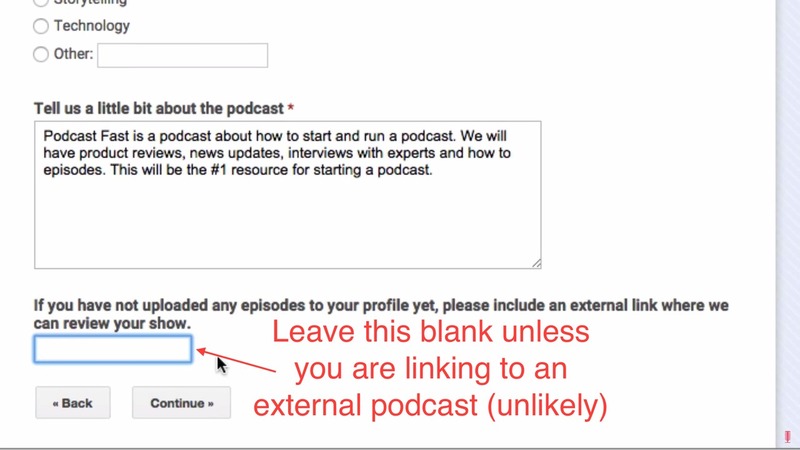 However I don’t actually recommend this because you are giving up a portion of control over your podcast, primarily the order of your podcast episode, which you can easily edit if you have your own website as well as some other features and SEO features to help you rank better in iTunes. However, if you do want to go ahead and submit this to iTunes and you don’t want to learn how to create a website for your podcast which is what I’m going to be teaching in the next lesson you can skip forward to the lesson about how to submit your podcast to iTunes and Stitcher Radio which is actually the last lesson in this series. 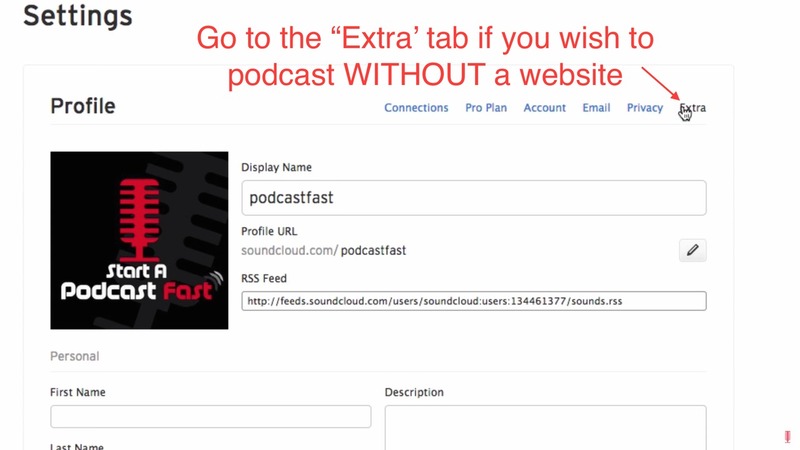 If you actually wanted to set up your podcast using Libsyn instead of SoundCloud I do have a tutorial on how to do that and you can get that at www.podcastfast.com/libsyn. 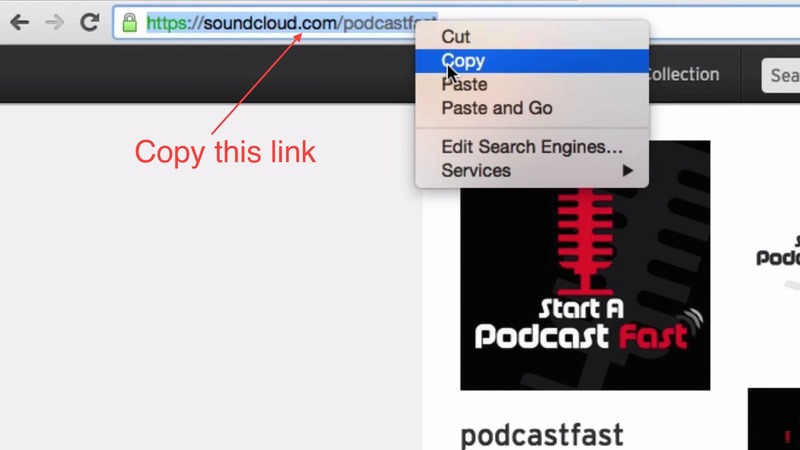 I also have some advanced tutorials on how to podcast using SoundCloud. 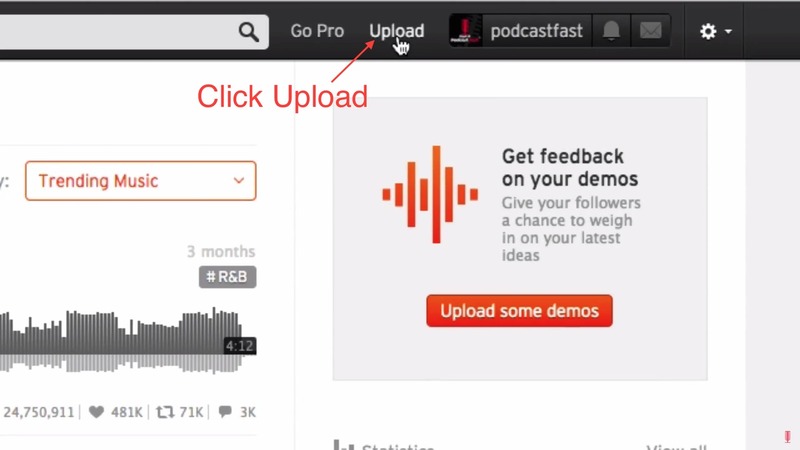 I show you a few more of the features inside SoundCloud and how you can make the most your podcasting using SoundCloud. This is available to you absolutely free. Go to www.podcastfast.com/cloud to get access to that. 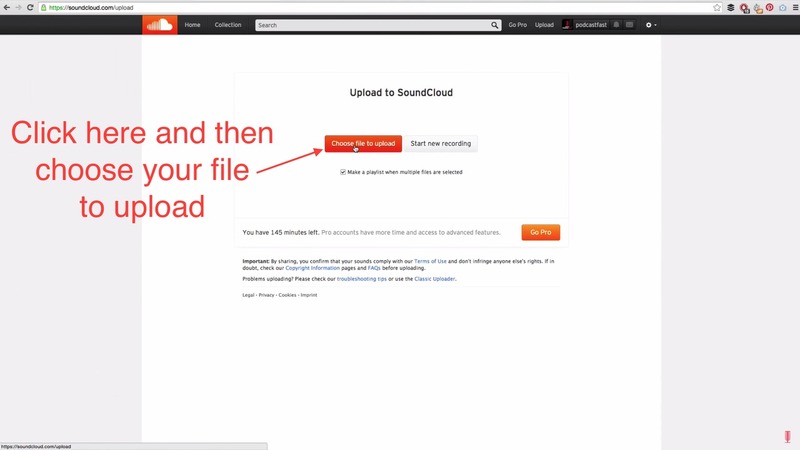 That completes this lesson on How To Setup Your Podcast With SoundCloud. In the next lesson I’m going to talk you through how you can create a website for your podcast which is what I recommend.